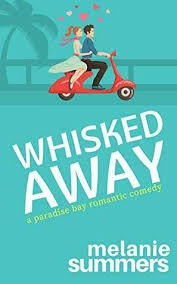 Synopsis (from Amazon): A humorous chick lit - romantic comedy novel about friendship, romance and overcoming your past. Jessica Banks is dragged kicking and screaming from her fabulous and carefree London life back to her New Zealand hometown and into the arms of her uptight mother. She starts up a personal styling business with one of her friends, hoping to bring some of her London glamour to the city. Things begin to look up when she meets Scott Wright, tennis coach, and serious contender for the hottest man on the planet. But is it a love match? When her best friend disappears and her high school arch nemesis rears her perky head, Jessica’s new life begins to come undone. Even her best friend, Ben, can’t protect her from her demons. Eventually, she realises she needs to face her darkest fear – the one she’s successfully drowned in cocktails for the last four years. Can Jessica overcome her past and find love and romance in unexpected places? 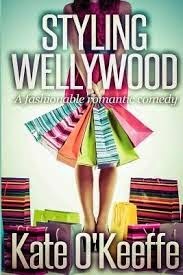 With Wellington - the world’s coolest little capital city and New Zealand’s answer to Hollywood - as the backdrop, Styling Wellywood: A fashionable romantic comedy is a laugh out loud, entertaining romp in the world of contemporary women’s chick lit romance. If you love the humor found in Sophie Kinsella or Helen Fielding's Bridget Jones's Diary, or the women undone (and put back together) themes of Marian Keyes, you'll love this new contemporary women’s story filled with romantic humor! One (or more) Sentence Summary: Great read, with great characters. I want to go to New Zealand and have Jessica help me with my wardrobe. Heck, I would meet her in London too! I like that Styling Wellywood brings in all of Jessica's friends from school. It allows us to get to know her and her life. Her mother is too funny. Her hippie father…peace out! Favorite Character(s): Ben was my favorite character. It isn't often that I pick the guy, but Ben was very cool and a great friend. Setting: Back in Jessica's home town in New Zealand. Yes, you can go back home! "Part Bridget Jones's Diary and part Eat, Pray, Love, O'Keeffe's book blends multiple styles to form a novel that is all its own. At first glance, the book presents like a light, summer beach read. The pacing is fast and there are many romantic conundrums and slapstick snafus. However, underneath the apparent light-hearted fluff are several weighty issues, which O'Keeffe treats with sensitivity, finesse and just the right touch of humor... 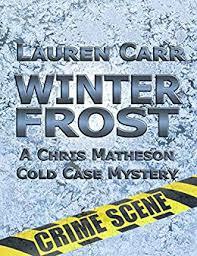 The story's circuitous path and the meatiness of the underlying issues are sufficient to set this book apart. It is worth escaping to a quiet spot to read O'Keeffe's engrossing tale." Would I Read Other Books by the Author: Yes, I want to read Wedding Bubbles! Deciding long ago that feel good stories and happy endings shouldn't be limited to just children's books and fairy tales, Kate O'Keeffe decided to create such worlds through her writing. She has loved romantic comedies since she first encountered Bridget Jones as a young, impressionable writer. It really was a match made in chick lit heaven. Kate likes to take on serious subject matter and wrap it up in warmth, wit, and humor. And of course, apply the all important feel good factor and happy ending. Kate lives and loves in New Zealand, with her wonderful family and two very scruffy dogs. awesome equipment with several editions of Google android to android-emulator.com been able to soar under many radars until lately nice. good computer system. In these video clip tutorials, Kodi APK Download this fantastic application on your android gadget. best. For Pc Mac then please share it with your friends on Terrarium TV to watch their preferred shows due to their job or hectic timetable.